While I have written about the power of charcoal for whitening teeth before, it was more of a messy DIY process. Now, I am happy to report that I have made a recent discovery: Crest 3D White Whitening Therapy Deep Clean Charcoal toothpaste in Invigorating Mint, and Crest 3D White Whitening Therapy with Coconut Oil! For my full review, continue reading below. First things first: this stuff tastes so much better than I anticipated! It’s not gritty or “off” tasting, and the mint flavor really does live up to its name. Also, it’s not messy like the DIY version; the charcoal is neatly wrapped up in the toothpaste, in a pretty stripe pattern in the tube. Also, the charcoal bits don’t get stuck in between your teeth or gums. The stripes combine as you brush, and the foam is light grey in appearance - again not super dark like the messy DIY version! 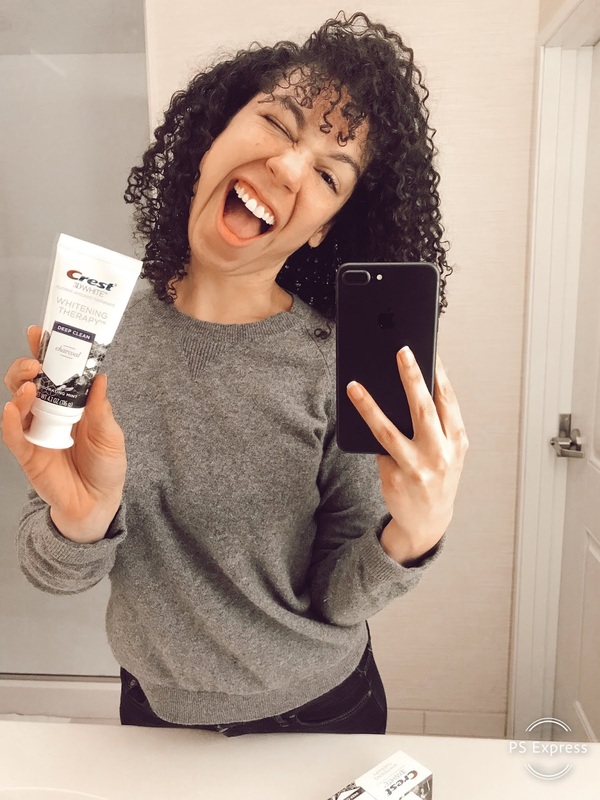 In my experience, I have found that sometimes charcoal can be slightly agitating when freely adding it to toothpaste, but with this new Crest Deep Clean Charcoal product! I have sensitive gums, and this toothpaste didn’t bother me one bit. In fact, I found myself looking forward to using this product in the morning and evenings. The best thing about this toothpaste for me however, is the confidence I have in using it. 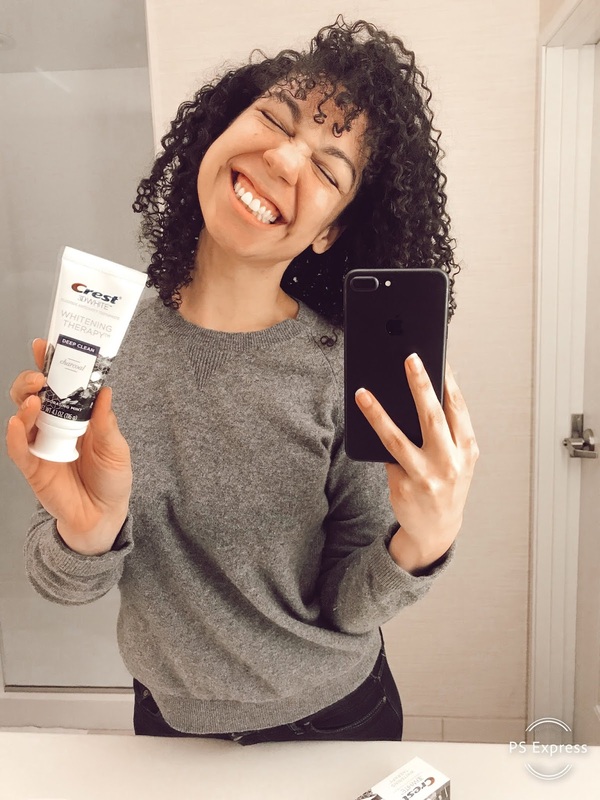 Having been a Crest toothpaste user my entire life, I have grown up using the product, and I am confident in all of their products. The new Crest 3D White Whitening Therapy Deep Clean Charcoal toothpaste is exciting for me, as I wanted a charcoal toothpaste from them for a while. A second new formula that I am equally just as excited about is the Crest 3D White Whitening Therapy with Coconut Oil. The flavor, vanilla-mint, is perfection. I love the long-lasting minty-fresh clean that this toothpaste leaves after I am done brushing. Honestly, it was the packaging that caught my attention first: the flashes of rose gold on the box looks so luxurious! Coconut oil was another ingredient that I had been hoping for in a toothpaste, so I was happy to give this one a try too. Both of these toothpastes are such great products to have, and I find them to be both unique, and have wonderful flavor. Both new toothpastes retail at your local Target for $6.99 - a great price point to give these two new products a try! Also - check out this deal going on at your local Target: Spend $20, Get $5 deal available week of 3/17 o Spend spend $20 on select beauty and personal care items (including Crest), you will receive a $5 Target gift card!